I'll be honest: the only reason why I made these was because candy canes were on sale and I'd never made peppermint bark before. 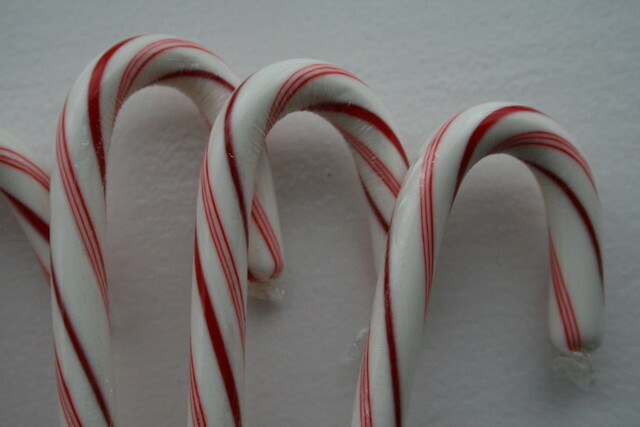 I love mint but don't like candy canes. 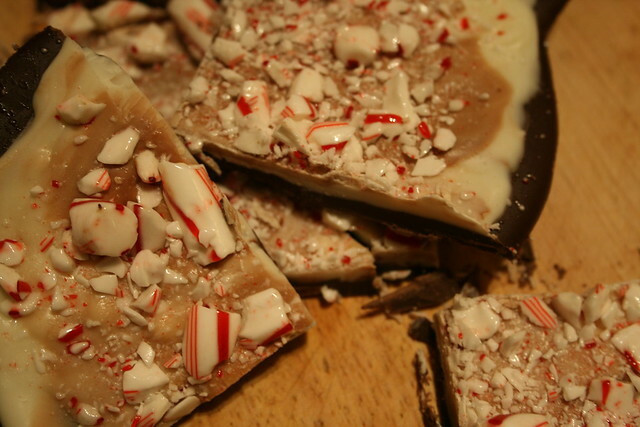 Candy canes with chocolate, however, is a completely different story. 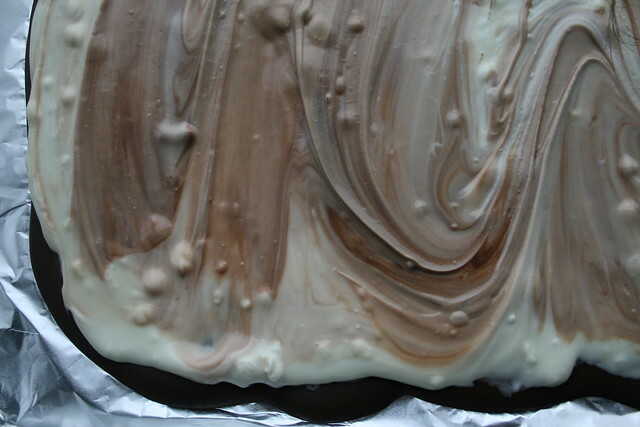 In a double boiler, melt the semi sweet chocolate and two teaspoons of vegetable oil. 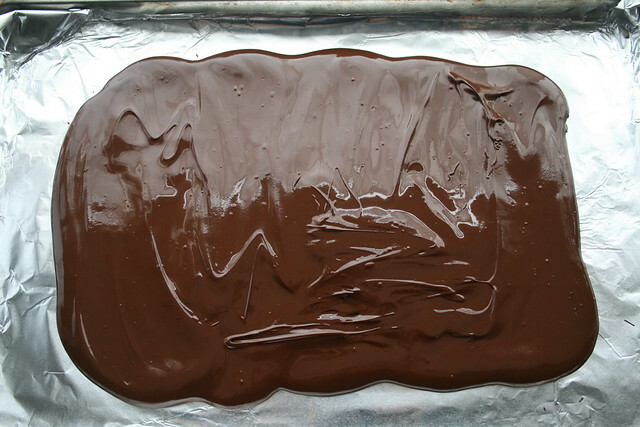 Spread the melted chocolate to cool on a cookie sheet lined with foil. Cool in the fridge for 30 minutes. (First clean the double boiler then) melt white chocolate and spread over the cooled/hardened semi sweet chocolate with the rest of the oil. 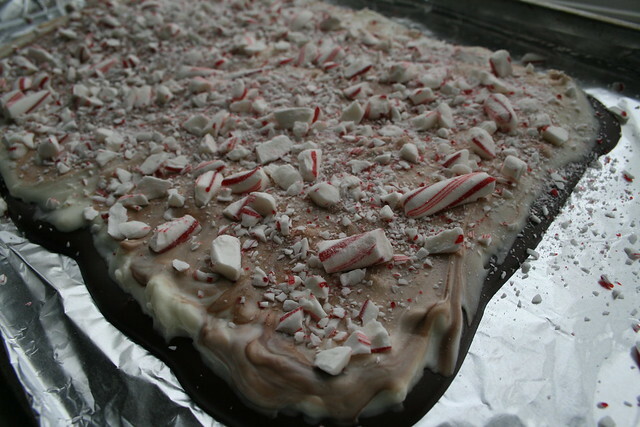 Before the white chocolate cools, sprinkle the crushed candy canes. Refrigerate for at least one hour before cutting the bark into pieces. A sharp knife works best. Serve with hot cocoa, warm cider or other baked goods. Hey... the holidays aren't over just yet.